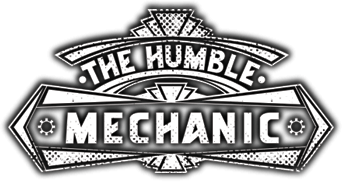 On this episode on The Humble Mechanic Podcast, we are talking about new cars. These 5 things can apply to getting a new model, or a new to you car. With the purchase of our new Tiguan, I have new car on the brain. And other than tip 3 and 4, I have done all of these. Rain Eater wiper blades. Wipers are one of the most important safety items on our cars. Think not, you must have never driven in bad weather. When you are ready to replace your wiper blades, a very easy DIY, check out RainEater wipers at RainEater.com. Plus I LOVE that their CEO is the one monitoring social media. You can also check out my RainEater Review. QOTD ~ What is something YOU do when getting a new car? I never even considered reading the owner’s book. Thanks for the great tip, this will allow me to maintain my car more effectively. Does the owner’s book cover what to do in the event of a collision or repair?